Every time there is an election I cannot help but stop and feel grateful for those who fought for my right to vote, and the upcoming provincial election has not been an exception. On June 7th, Ontarians will head to the polls for the provincial election, and I am so grateful that I will be able to cast my vote. It was a long road for many to gain the right to vote. In 1917, Ontario became the third province to allow some women the right to vote, and the right to hold office for some women came in 1919. But it is important to recognize that it would not be until 1960 that federal voting restrictions were lifted on many different groups of people including Asian-Canadians and Indigenous peoples. Women with cognitive disabilities did not get right to vote federally until 1993. Without access to the vote, the interests of many of these groups were ignored by governments. There was no incentive for candidates to even begin to consider what their unique needs might be. Fast forward to today, now that all Canadian citizens do have the right to vote, it is our responsibility to hold candidates accountable. The truth is, we cannot count on someone else’s vote to represent our needs – we have to get out there and vote for ourselves. This provincial election, there is finally a focus on an incredibly important issue that affects women in a big way: universal child care. Thinking back, I remember turning 18 and being so excited that I could finally vote. However, since that time, I can hardly recall an election or campaign that truly prioritized issues facing women and marginalized communities – until this year. This provincial election, there is finally a focus on an incredibly important issue that affects women in a big way: universal child care. Ontario has the highest child care fees in Canada. When families cannot afford child care, more often than not it is the mother who stays home with the children and puts her career on hold. As was pointed out in this Huffington Post article, “child care costs are a huge barrier to women’s paid workforce participation… [and] the longer they are out of the workforce, the worse it gets. Yet, the more women who have paid work, the faster the economy grows.” Universal child care affects women’s work life, their family life, and their overall ability to contribute to their communities. When I think about how hard the Canadian foremothers fought to give me the right to vote, I feel a responsibility to them and their legacy. Getting involved in your local, provincial, and federal elections is important not just to ensure that your voice is being heard, but it is important to the overall health of our democracy. If women continue to show up, vote, and engage in the electoral processes, I believe we can keep pushing forward key issues that matter to us and to our communities. When I think about how hard the Canadian foremothers fought to give me the right to vote, I feel a responsibility to them and their legacy. I am empowered to vote to make sure my needs are heard and to press for progress on issues of gender equity and justice. 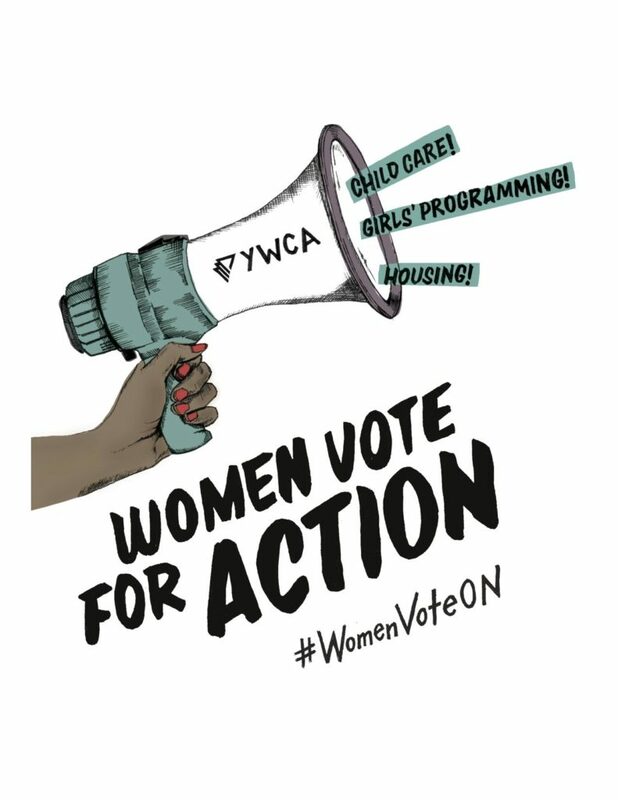 This Ontario election, I encourage all women to do the same. If you are not sure how to vote in the upcoming election, you can find out here. The length of my skirt, the power of my voice. Enter your email address to receive notifications via email whenever we publish a new blog post.